The Tubman Museum will be open Monday, January 18, 11 a.m. – 4 p.m. in observation of Martin Luther King, Jr. Day. A guided tour focusing on the life, beliefs and practices of Martin Luther King, Jr. and his role in the Civil Rights Movement will take place at 2 p.m. The 30-minute short film, “The Boy King,” will play continuously throughout the day. 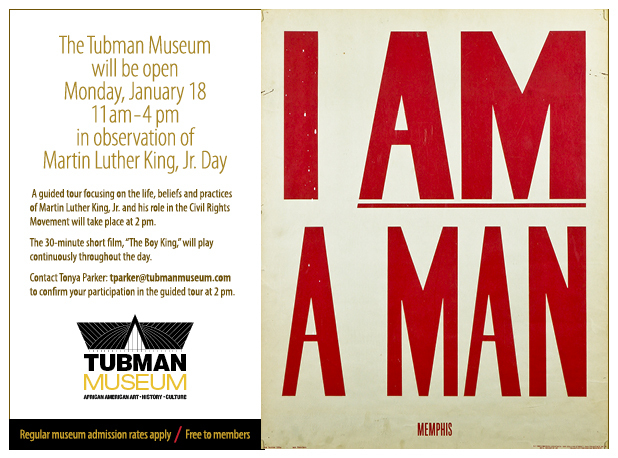 Contact Tonya Parker to confirm your participation in the guided tour at 2 p.m. Regular museum admission rates apply. Free to members.